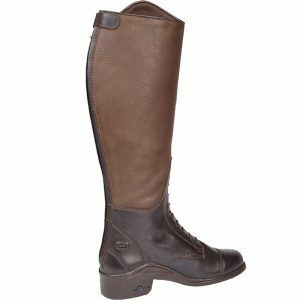 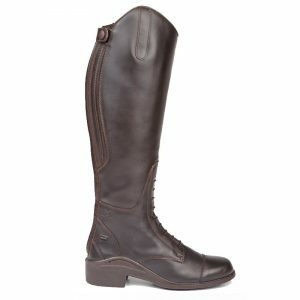 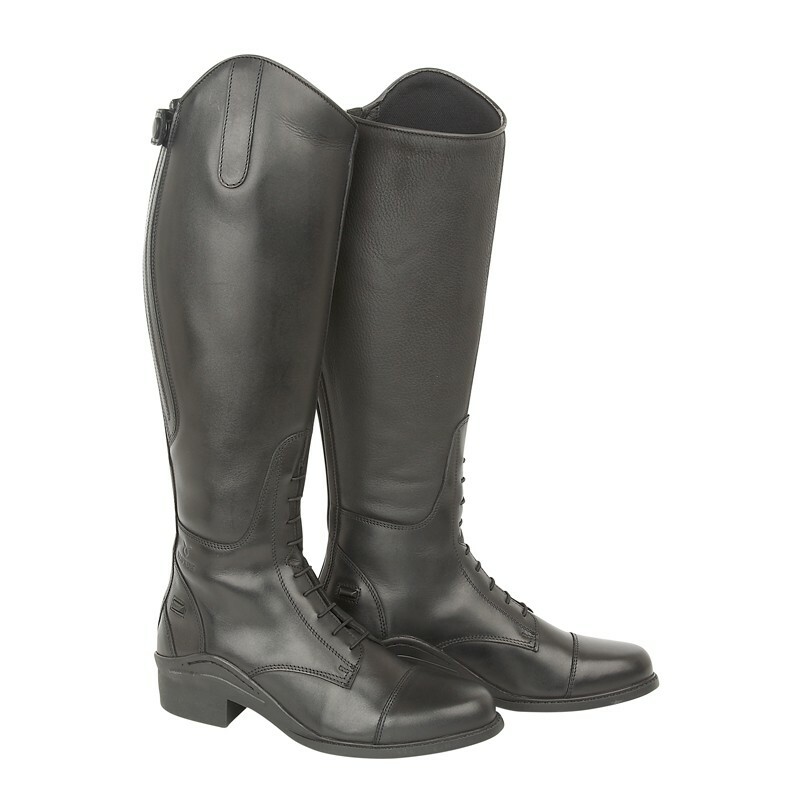 A smart full length leather riding boot with nubuck inside calf panel and elasticated front lacing. 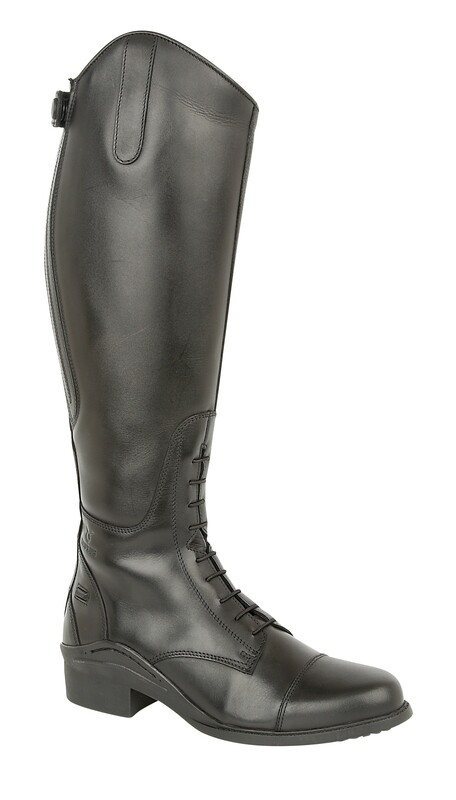 Manufactured from full grain leather with a textured waxy nubuck inside calf panel, this stylish long boot features elasticated front lacing and a covered elasticated rear panel for enhanced fit and with a padded textile lining for added comfort. 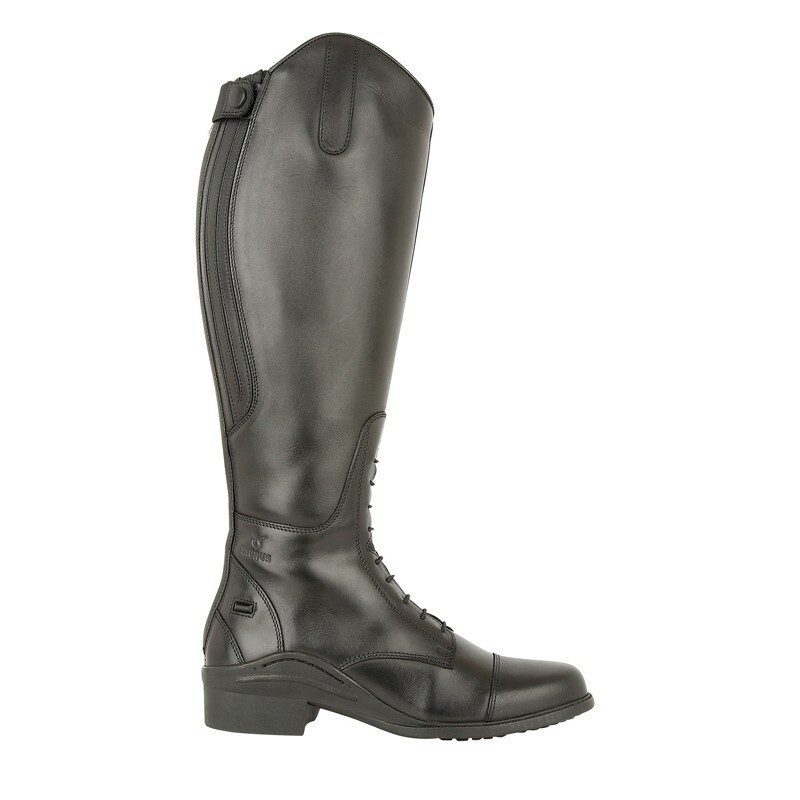 High quality rear zip with rolled edges and an elasticated top strap with press stud fastener. 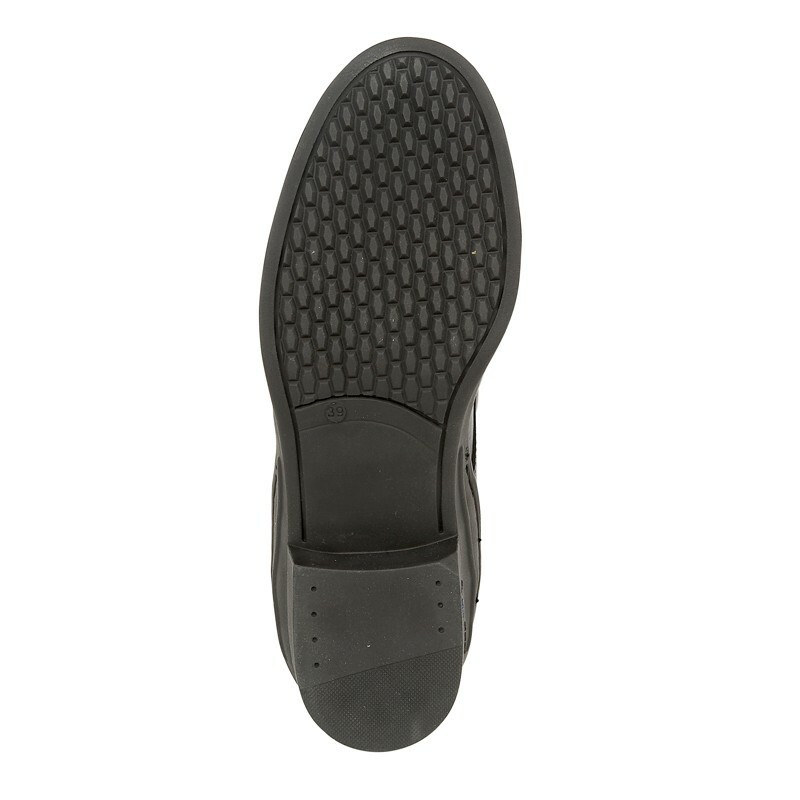 Air system rubber riding sole and spur stops.